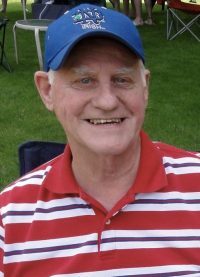 Gerald D. “Jerry” Canty – 84 – of 47 East Washington St., Hornell, died early Wednesday morning (January 23, 2019), at Elderwood Nursing Facility in Hornell following a long illness. The family of Gerald D. “Jerry” Canty will receive friends on Sunday from 4:00 PM – 7:00 PM at the Dagon Funeral Home, 38 Church St., Hornell, NY. A Mass of Christian Burial will be celebrated on Monday at 10:00 AM at St. Ann’s Church. Burial with full military honors will follow in St. Mary’s Cemetery. Jerry’s family request that in lieu of flowers, memorial contributions in his name be made to either St. Jude Children’s Hospital, PO Box 1000 – Dept. 300, Memphis, TN 38148 or the Hornell Humane Society, 7649 Industrial Park Road, Hornell, NY 14843. Memorial forms will be available at the Dagon Funeral Home or click here to print a form. Sending along healing prayers and comforting hugs for you, Kathy, and your family. Sharing your sadness and wishing you moments of peace now and in the days to come. My condolences to the entire Canty family. I wasn’t able to make the calling hours, but will always fondly remember Jerry’s passion for coaching us boys on the Colts. I truly believe I get some of my coaching style from the impressions he made on me… Thanks Coach and may you rest in peace.